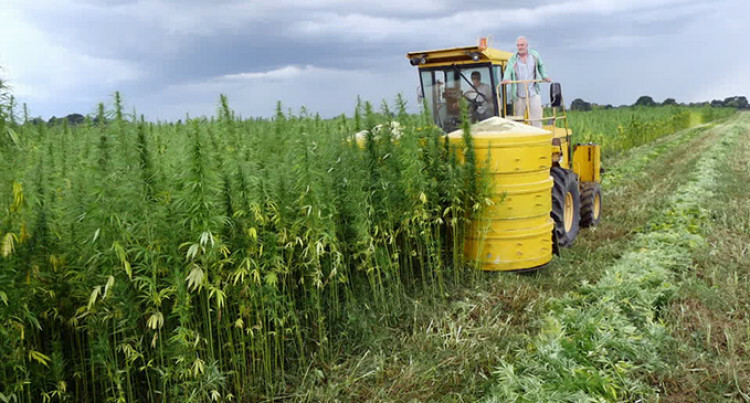 Government must look into, and seriously consider, hemp farming and for many a good reason. It is the perfect supplement to complement our ailing sugar industry and we have the perfect weather conditions with lots of vacant sugarcane fields ready for cultivation. Hemp offers a sustainability and durability that is incomparable while cultivation and farming comes at low-cost and low-input! The economic benefits that hemp can introduce comes in clothing and shoes, ropes, soap, construction, it is an excellent source of protein, it grows just about anywhere, it does not need as much water as other plants, it contains oil, it provides low-cost fuel, it is a source food and it is used in all paper products including toilet paper! In general, hemp is affordable, it is healthy, sustainable, it will allow communities to become well fed and healthier and it will also introduce more jobs and increase economic viability. We need to remove the blinkers to see the great potential hemp farming will bring to the nation. What are we waiting for, the end of the world? In the past few years the number of vehicles on our roads has increased and as a result, there has been traffic congestion daily, especially in the city areas such as Suva and Lautoka. People tend to have more interesting cars, but not realising that it can affect the environment at large. People might need cars for going to school or work, but this does not mean that every individual in a household needs a vehicle each. In some cases, definitely, you are going to find more than one vehicle per home. A restriction should be made that in each household only one vehicle is allowed. Through this the problem of traffic and pollution can be curbed. The Land Transport Authority (LTA) is advising motorists not to park illegally at Damodar City, Laucala, because this could result in fines or penalties being imposed on them. I believe this is a short-term solution. Realistically the hundreds of customers at Damodar City need taxi services, but unfortunately there is no sufficient taxi service provided within the premises hence customers stop taxis in a no parking area. Has LTA considered how the hundreds of passengers will get a taxi after shopping? How will the elderly travel from Damodar City? The problem at Damodar City is not taxi drivers, but rather it’s a badly-designed traffic area. The laws in Fiji seem to be only enforced on the motorists. If you park illegally you get a hefty fine, but it is okay for a pedestrian to jaywalk. Pedestrians must also obey signals and use crosswalks at signalised intersections and the LTA and Police must also enforce these laws on pedestrians and not only motorists. If a pedestrian unexpectedly jaywalks and is hit by a vehicle you will be charged and sent to the remand centre, but nothing happens to the instigator of the incident. At an intersection where the driver is proceeding in a straight line and a pedestrian walks in front of the vehicle, the driver needs to stop and remain stationary until the pedestrian has made it all the way to the other side of the street. How come the Police and LTA don’t stop people who jaywalk? All motorists infringe, but the law must apply equally to motorists and pedestrians for a safer road. A lot of education must be focused towards pedestrians and laws enforced upon them. I don’t condone intentional traffic infringement, but the LTA and Police must take a holistic approach to rectify this problem Let’s be fair and enforce laws on both guilty parties.